In recent years, the global eye care community has learned an immense amount concerning myopia, its development and how to attempt to control its progression courtesy of fantastic research from around the world. Much of the research has involved presenting different optics to the central retina versus that presented to the peripheral retina. The result after a patient has undergone orthokeratology is just such an optical profile that has a different correction centrally versus peripherally. 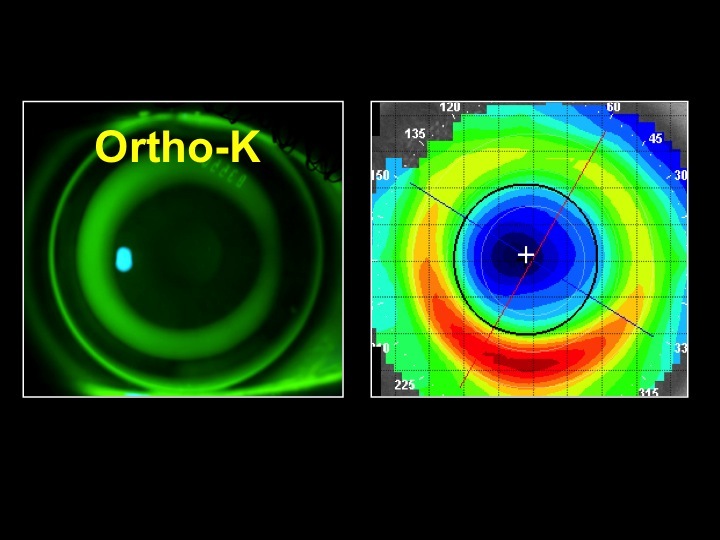 The utilization of orthokeratology in an attempt to control the progression of nearsightedness in children is nothing new; what is new, however, is the attempt to mimic the post-orthokeratology optical profile with a custom soft contact lens. By taking advantage of the knowledge that a center distance aspheric multifocal contact lens is able to mimic the optical profile of a post-orthokeratology cornea, the eye care practitioner can design a soft contact lens to provide the central and peripheral correcting optics found in orthokeratology. Orthokeratology has its conveniences and advantages. However, there are cases in which orthokeratology may not be ideal, but varied optics centrally versus peripherally are still desired. For example, when the patient’s refractive error falls outside of the approval zone for orthokeratology, or when orthokeratology has been attempted and failed or the patient is not comfortable with orthokeratology lenses. 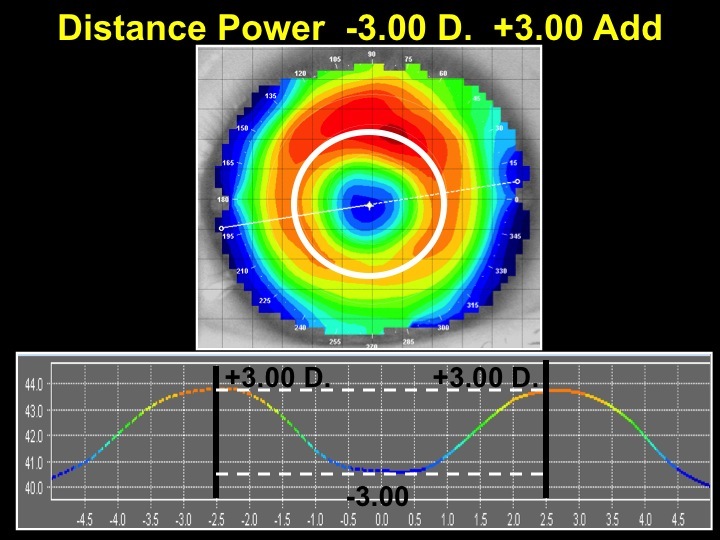 By utilizing a custom aspheric center distance multifocal for this application, the practitioner has the ability to vary not only the add power, but also the zone size, which is dedicated to center distance and the surrounding near zone. 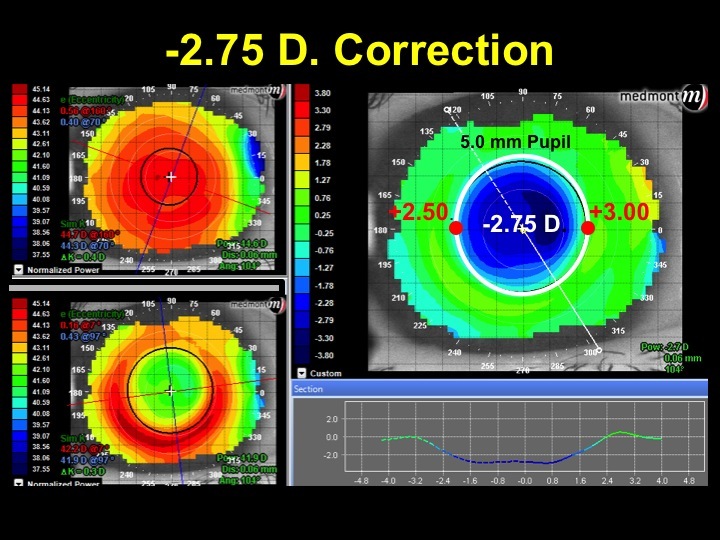 Again the corneal topographer’s difference display is useful in determining these zone sizes in an attempt to mimic the post-orthokeratology profile and optimize the effect of controlling myopia (image 3).